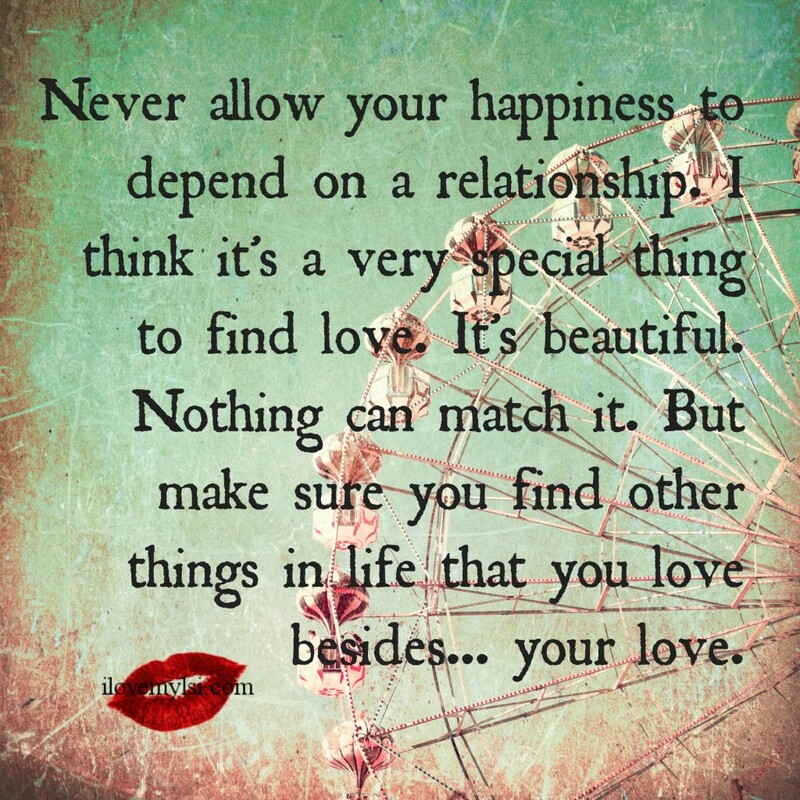 Never allow your happiness to depend on a relationship. I think it’s a very special thing to find love. It’s beautiful. Nothing can match it. But make sure you find other things in life that you love besides…your love.